The CaseMate Decathlon iPod and iPhone Armband is made of high quality materials and holds your iPhone securely in place during training. It allows you to listen to music and answer incoming calls simultaneously. Thanks to the screen protector, your touchscreen stays fully operable while properly protected. With the Decathlon you can stay connected with your friends and enjoy your music while exercising. 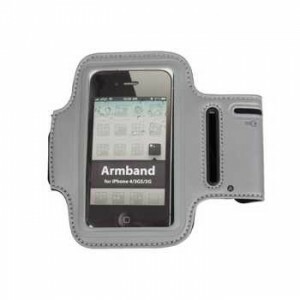 The iPhone and iPod Armband is made of resilient neoprene that protects your device from bumps and scratches. Thanks to the openings on the Armband, your phone will stay fully functional. This high performance and high quality CaseMate Decathlon Sports Armband is waterproof and it is also washable! This entry was posted in Uncategorized and tagged Apple, Armband, CaseMate, Decathlon, iPhone, iPod. Bookmark the permalink.